IThe traditional Romeria or street procession and party of Los Realejos brings the town to life with thousands of locals dressed in Canarian dress taking to the streets with ornamental carts pulled by oxen, decorated agricultural vehicles and a live salsa and merengue orchestra. f you want to immerse yourself in the local culture of the island, then there are few better ways then attending one of their town parties. 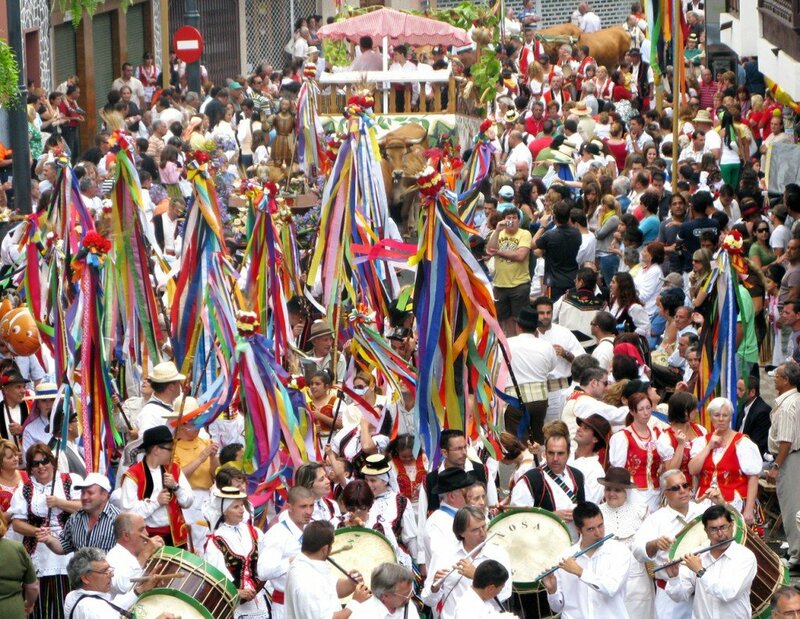 The 2km procession honours the Saint Isidro Labrador on Sunday 28st May from 12pm until late.